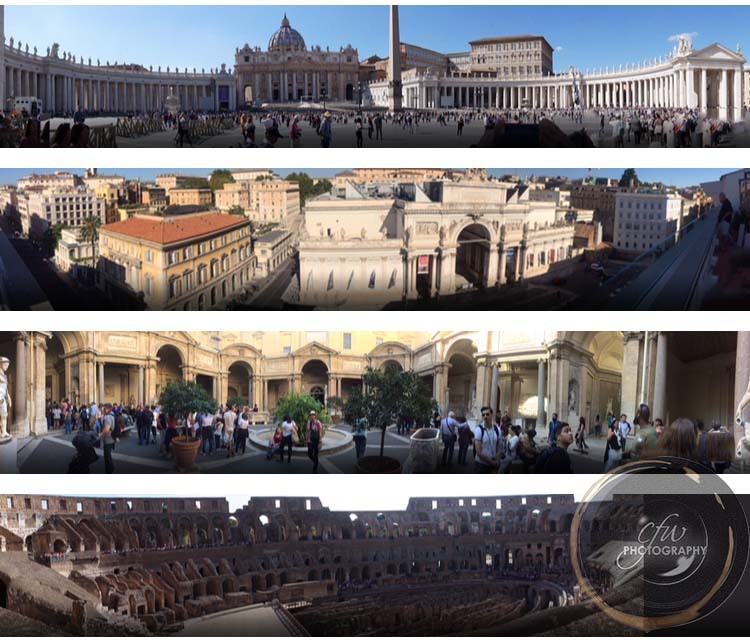 My boyfriend and I recently traveled to Rome during the last week of September to celebrate his 30th Birthday (woot woot!) Upon arriving we took notice of the beautiful culture all around the city! Amazing architecture upon amazing architecture at every corner you turned -- completely stole your eye's attention while taking your breath away in one fell swoop! 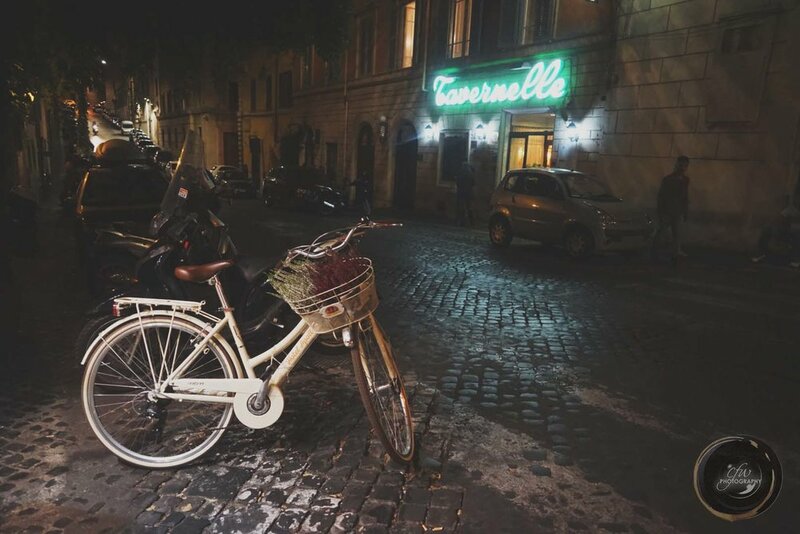 We stayed at the Rome Glam Hotel which I would highly recommend to anyone! (I got a really good deal for hotel and flight through Expedia, wink wink). The staff was so helpful. From little requests pertaining to our room to asking 3 different staff members tourist questions on the three different days. Everyone was so polite and always gave us more information than we asked for. They even sent us a complimentary chilled bottle of champagne (with glasses of course) upon arrival as a welcome! And on the morning of my boyfriend’s birthday, a delicious muffin with a candle in it arrived with a note wishing him a Happy Birthday. We were about 5-15 minutes away from a lot of the major attractions by foot, such as the Trevi Fountain, and most of the major Piazzas, which were so dope. For example, we walked to Piazza Navona after a night of exploring, which is an oval-shaped plaza with three huge fountains down the middle surrounded by restaurants and people entertaining and selling items. We sat at one restaurant and ordered 2 glasses of wine and bruschetta to do some people watching which ended with a beautiful sunset -- Heaven on Earth. We only took the train twice which was really easy. Once to visit Vatican City, and the other to shop on Via Del Corso after visiting the Spanish Steps. We also bought a 24-Hour ticket to the Hop On, Hop Off tours for the experience and a discount (and line skip) to the Colosseum, which actually ended up really being worth it as we used the bus a few more times after that just to get around the city that night and following morning. As absolutely amazing as my first taste of Italy was, I just have to mention the giant elephant in this great capital city; the lack of Black people in Rome! Tourists and locals alike. Now don’t get me wrong, our trip was definitely one for our books! We loved the food (best pasta dishes we’ve ever had), which includes the G E L A T O (my new favorite forever food)! The people were extremely friendly to us from hotel staff to locals and other travelers. The sights and hilltop views will forever be embedded into our brains! Our entire vacation was enjoyable from beginning to end -- Now for the awkwardness. With all that said, no matter how great our trip ended up being, we couldn’t help but notice that 9 times out of 10 we were the only Black people in the area (let alone the room). From dinners to gelato runs, to museum tours… we couldn’t constantly help but ask each other “Are we the only Black people here?” And when I say constantly I mean daily. We did happen to see some Rome locals of color but there were probably a total of 20, and that’s being generous. In fact, we remember the first time we saw another Black couple… Day 3 of our Rome stay, walking towards the entrance to the Colosseum. It was as if we both had the same thought at the same time because we looked at each other with eyebrows raised and immediately started laughing after! It was one of those situations that were funny - but wasn’t all in one. You know what I mean? Could we have just missed a few here and there? Sure. However, a number of stares we both received on a daily basis proved that we were just a tad bit “out of place” to the regular Roman eye. Overall, it didn’t falter or take away from our great Roman experience! We experienced no bias or discrimination (that we know of) from any angle. We actually both expressed how much we fell in love with the city! There was just so much Italian culture, wonder, warmth, and a sense of gratefulness to be able to witness such history all around us. We literally only saw one building which looked like it was built in this century and it happened to be a fairly new museum. So we will definitely cherish our first Italian adventure… and I guess we just hope that more of our generation, and of course more people of our same color, would also venture out to such places to make all the other/future elephants disappear around the world.